Information: The Festival ICT – B2B event links innovative companies “embedded” in different industries. The participants included both small and large global corporations such as Microsoft and Alcatel Lucent. It is an annual event with more than 15,000 attendees requiring reliable wireless connectivity during the show and conferences. Enter Srl., was selected as an the Internet service provider for the event and they came to LigoWave for a solid and reliable solution. Challenges: With the huge number of tech-savvy participants attending the event more than 20,000 smart-phones, tablets, and notebooks could be expected to need Internet connectivity. Reliable and fast Internet connectivity was one of the key measurements for the success of event. Limited channel availability, an RF intense environment within the deployment area and the need for precise network planning are the major obstacles that Internet service providers face when designing the networks and providing services for such events. 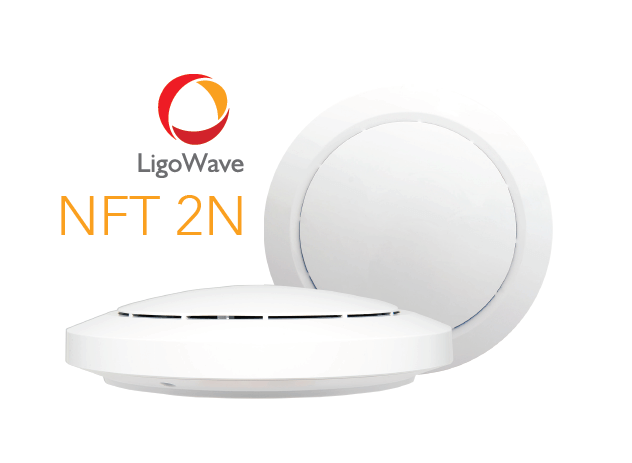 Solution: A total of 30 Infinity 2N dual-radio access points from LigoWave were used to cover the ground floor of the event. Even though the location of each AP was specifically chosen based on the integrated 3×3 omni-directional antenna characteristics, the utilization of features like auto-channel, automatic transmit power control and maximum user limitations helped to balance the load across the deployed devices.